Eric Ries, entrepreneur and author of the New York Times bestseller, The Lean Startup. Eric was the very first practitioner of my Customer Development methodology which became the core of the the Lean methodology. Jon Sebastiani, founder and CEO of KRAVE Jerky, a company that got its start in my class at Berkeley back in 2011 and was recently acquired by Hershey. The focus of our first segment with Eric was, "What is the Lean Startup" and how did it start? 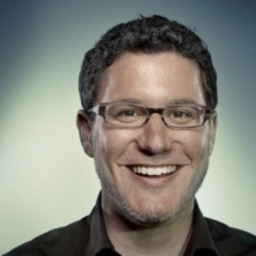 Eric Ries co-founded Catalyst Recruiting while attending Yale, and continued his entrepreneurial career as a Senior Software Engineer at There.com. He later co-founded and served as CTO of IMVU and then authored The Lean Startup. Named one of BusinessWeek's Best Young Entrepreneurs of Tech, Eric served as a venture advisor at Kleiner Perkins Caufield & Byers before moving on to advise startups and venture capital firms independently. He was named entrepreneur-in-residence at Harvard Business School in 2010 and is currently an IDEO Fellow. Back in 2004 when Eric and his IMVU co-founder Will Harvey approached me about investing in IMVU, I agreed on one condition - they had to take my Customer Development class at UC Berkeley Haas Business School. Steve: Will Harvey, the [IMVU] CEO had asked me to fund his next company ... and I put a requirement on Will and you. Can you remember what that requirement was? Eric: ...We had just lost an awful lot of Steve's money screwing up in the worst and most publicly possible way, going off with our tails between our legs and being total failures. ... And we had the audacity to go back to Steve and say, "Listen we just lost you all this money, we're giant failures, how would you feel about funding our next startup?" ... unlike most of the time this happens in Silicon Valley, Steve had a suggestion, a very politely delivered suggestion that ... he had just started teaching a class on something he that called customer development. ...and he said, 'Well if you'll come and audit my class, then I'll agree to be in [fund] your company.' And at the time we thought well that's a pretty good deal. We'll have to waste a couple of hours a week in Steve's class, but hey we need the money so what's the big deal. Steve: And the entire world who was interested in this process consisted of me and maybe my cat. Eric: ... So my cofounder and I would be in the car we would be arguing about all the things that would be going wrong in our startup and all the things we had to do all the way down to Steve's class. It was like an hour and half in Bay Area traffic. We'd get there and listen to Steve's lecture and then we would have a whole hour and a half going back to argue about now what was that thing that Steve just said and of course would couldn't agree an hour later what it exactly was because it was so different.... I remember, Steve, that you had a line that stuck with me that first time I've heard it -- -- which is that we should have in marketing a methodology as rigorous for making decisions as we have in engineering, I couldn't understand but I knew it was important because I lived through these startups that fundamentally failed because they had no customers. So that was the big insight of customer development, to take what had previously been a highly monolithic and faith-based initiative of marketing and turn it into a rigorous scientific approach to discover what are the facts about customers. Steve: And do you remember -- I'm going to change your grade if you don't -- about where do the facts reside? Eric: All the facts reside outside the building. On Being the First Practitioner of Lean: "For me the challenge was how do you systematize this and turn it into a management practice that actually does not just have people pay lip service to it but really actually do it." On Agile Development: "We get customers involved in the development of products as soon as possible and to build everything in an experimental way so that we treat every feature, every ounce of energy that we invest in our startup as an experiment to help us understand what our customers really want." On Failure as Experience: "I thought that I would not to be able to get a good job because I had this big stinking failure on my resume. I was flabbergasted - almost stunned -- to discover that in Silicon Valley all kinds of people looked at that resume and said, 'Hey you've learned a lot of important lessons on someone else's dime.' That's part of the magic of Silicon Valley." On Getting Another Chance: "I would have paid for the privilege to work in the legendary place called Silicon Valley. I couldn't believe this was my opportunity." 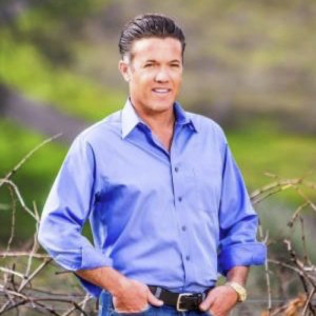 In this second segment Jon Sebastiani talks about his experience founding and developing KRAVE Jerky into one of the fastest growing consumer packaged goods in the country, and how he handled the triumphs and failures he met along the way. Before founding KRAVE, Jon teamed with his family to steer their Viansa Winery toward becoming one of California's top winery destinations. He also launched 14 retail stores in 12 states that marketed and sold Viansa wines and foods, and spent a year as Managing Director of wine.com assisting in the turnaround toward its first profitable quarter. KRAVE, which was acquired earlier this year by Hershey for >$200 million, was recently named Forbes Magazine's Top 25 Most Innovative Companies in the US, and ranked #72 in the Inc. 500 Fastest Growing Private Companies. How Entrepreneurs Are Opportunistic: "It's a state of mind to constantly look for that area of opportunity and disruption." Dealing With Failure: "It was a very humbling experience. ... It feels awful. It's a very lonely feeling." The Idea for Krave Jerky: "This moment of serendipity came together that as I was training for the marathon, as I was eating jerky, it struck me as this vacuum of opportunity." When the Idea Became a Business: "We started to ask ourselves, 'Who is our customer? Is it Whole Foods or is it 7-Eleven. Are we Wal-Mart or are we Draeger's Supermarket?' And it really started helping me refine my channel strategy of how we were going to roll out this business and how where we were sold really influenced the brand and the image that we wanted to create." When The Sale of a Lifetime and Crisis Collide: "It was an amazing serendipitous moment that we were able to get the partner, Safeway Corporation, to completely believe in the positioning of the brand and the product, and as a startup company the only way we could fulfill their PO is for them to pay us in advance so we could actually build that inventory. And it was obviously a game-changer for KRAVE. It put us on the map." At the same time, the jerky manufacturer they had designed their first flavors with decided to make their own jerky. To fill Safeway's order, "We were cold-calling anybody that we made anything to do with meat ... pleading with them to consider making our products for us. "